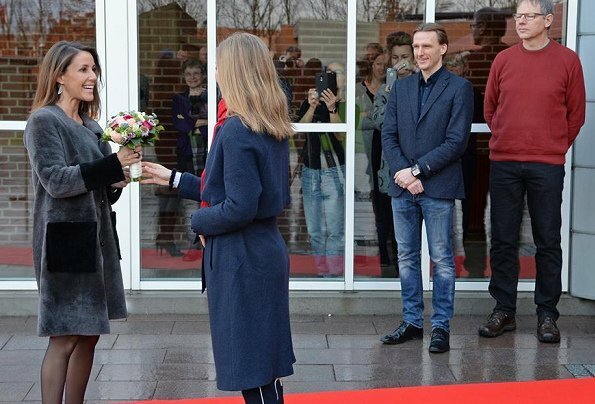 On January 16, 2018, Princess Marie of Denmark taught French at Vejen High School (Vejen Gymnasium og HF) as a guest teacher. During the lesson, French proverbs and stories about Paris were mentioned. The Princess was born in Paris and in addition to French and Danish, she speaks Spanish. 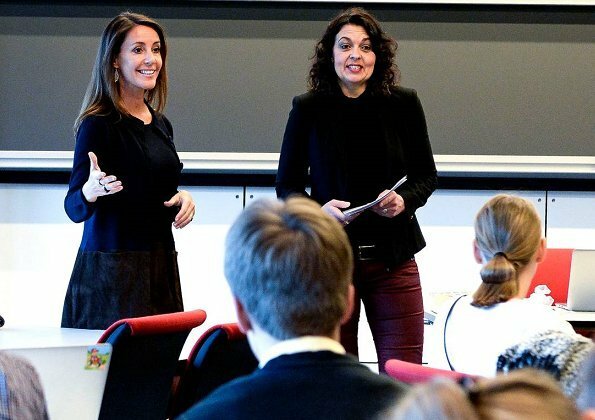 Princess Marie has been working with the University of Southern Denmark for a couple of years in order to provide more education and she will teach at 2nd and 3rd grades at Vejen High School. Marie is very charismatic and very well-educated linguistically: French, English, Danish and Spanish. French, English, Danish and Spanish? Chapeau! That's easy for most Europeans. When I was in school English, German and French were compulsery, on top of that my main language Dutch and later on Spanish. This was not very special in those days. Today everything changed. Everybody has to learn English and has to choose 1 other language only. 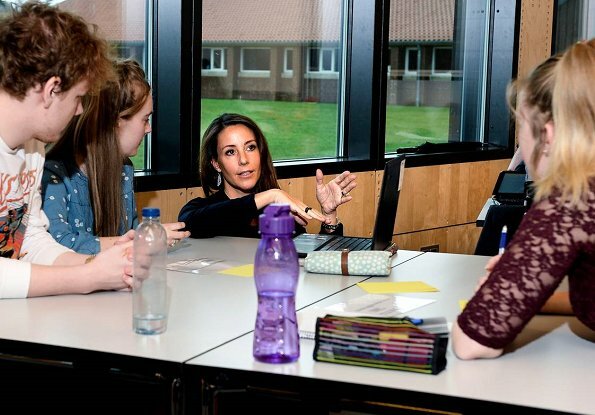 She looks like she loves teaching. Good for her! She is charming, intelligent and classy.